- Expository Preaching: We believe that the best way to preach the Word is through verse by verse expository preaching that teaches the point of the passage and applies it rightly to the congregation. 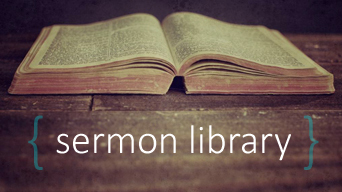 If you're unfamiliar with expository preaching, please visit our YouTube Channel for sermon video clips. - Christ-centered Worship/Discipleship: We believe that our call is to "make disciples". We strive to do that through worship that exalts Christ alone, discipleship that makes much of God, and mutual accountability to one another as the Body of Christ. - Biblical Evangelism Training/Opportunities: We believe that evangelism should be intentionally sought to be done outside the walls of the church. 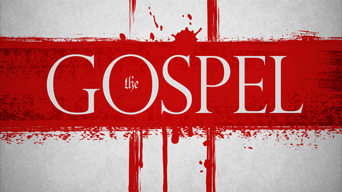 The Gospel is always preached at every service, but we believe our call is to take the beautiful Gospel of our Lord Jesus Christ to the lost in our community, state, nation, and world. We do this by offering evangelism training to any interested as well as going out into the community once a month with the specific goal of sharing the Gospel through tracts, one on one conversations, and open air preaching. We are not perfect or sinless. We are a group of sinners who believe that they have been justified and forgiven by the merciful grace of God alone through faith alone in Jesus Christ alone. As such we strive to be a loving fellowship that desires to love one another and others because God has first loved us. We believe you will feel welcome here and that you will find us to be a loving faith family who sincerely desires to minister to you and your family whether you are just passing through our community or seeking a church home. If you are interested in becoming a covenant member at Faith Baptist church then you will definitely want to check out our core beliefs and church covenant and let us know if you have any questions about that. If you have visited our church and now desire to join our church in covenant membership, please contact Pastor Jason to find out how this can be done! For infants through 3 years old we offer nursery care during the morning worship service. Please do not feel obligated to take your child to the nursery. The nursery care is a ministry we want you to use if you would like, however, because we value family discipleship and family worship, we encourage you to keep your child of any age with you. Do not worry that your child will disrupt service if they cry. In no way is a crying child seen as a nuisance. If your child does cry and you feel you need to leave with them you are certainly free to do so and return to the sanctuary when ready if you like.